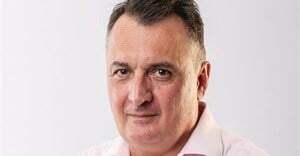 JSE-listed Transaction Capital, which owns SA Taxi, has about R900m in cash after selling its payment solutions business Paycorp and unsecured lender Bayport. It plans to use the money to invest in new growth businesses. SA Taxi is the largest contributor to Transaction Capital's profit. 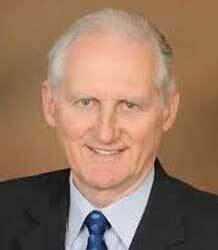 SA Taxi Chief Executive Terry Kier said the company is investigating opportunities in the rest of Africa, but would not say which countries were eyed. "The business is focused on SMEs (small and medium enterprises) and there's growth in that marketplace. We will start investigating opportunities in Africa although there are still opportunities within the local taxi industry. We have a huge role to play in Africa," he said. The company believed it had built up enough skills and data in the local minibus sector which dominates public transport in SA with more than 16m passenger trips daily - for it to feel confident to export the funding model it uses to other African markets. 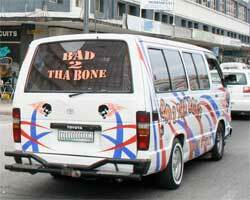 SA's national fleet is estimated to comprise about 200,000 minibuses, according to SA Taxi and the taxi business generates about R40bn a year in revenue. About 70,000 taxis are financed by lenders. 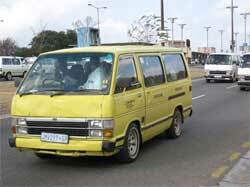 Out of these, SA Taxi has financed just more than 23,000, making it the largest lender for minibuses. SA Taxi has a total loan book of R6bn and 30% of that is considered to be non-performing loans. Stephen Meintjes, head of research at Imara SP Reid, warned that replicating the model in new territories in Africa could prove difficult. "In order for SA Taxi to succeed in other countries, regulatory support would be required, including robust data systems that would allow the company to track down vehicles that belonged to loan defaulters," Meintjes said. Another division in SA Taxi is Taximart, which repairs and refurbishes repossessed vehicles. Kier said in the long-term the unit would allow the company to reduce write-offs substantially as the minibuses would not simply be auctioned at low prices, which is how the sector had dealt with repossessed vehicles in the past. The repairs made by Taximart helped to stabilise the resale value of repossessed minibuses. To reduce bad debts the company has stopped funding cheap minibuses, as some of these tend to have mechanical problems, causing operators to lose income and default on payments. Meintjes said it would be expensive for SA Taxi to replicate this part of its business outside SA. Within SA Taxi there is a bakkie finance unit targeting entrepreneurs. About 18 months ago when the bakkie finance pilot project started, the company allocated R30m as an initial investment and added a further R30m, taking the total allocation to R60m. Kier said further funding of between R100m and R150m was likely to be allocated for the bakkie finance unit in the next year. The company is also exploring rolling out an application for mobile devices that will allow taxi operators to track their fleets and to better manage their businesses. SA Taxi has introduced a new insurance offering for its clients, after it had run into trouble with regulators. Taxi owners had accused SA Taxi Finance of forcing them to use brokers aligned with the company when purchasing insurance. This deprived them of the right to choose their own brokers and find competitive rates. Kier said taxi operators were now allowed to choose their own insurance and brokers.